This past weekend my boyfriend and I celebrated five years together in Santa Barbara (technically speaking we&apos;ve only been dating for four years, but we became friends five years ago and some of my favorite memories come from that first year so I like to count from there—am I supposed to start from the first dinner "date" we had together? So confusing.) Anyway, we stayed in a glass house in a valley just 15 minutes from downtown, ate a ton of seafood, got coffee with a friend, ate paella at Loquita (which was so delicious! ), had an hour-long conversation about New York and almonds with a couple we met at the farmers market (so random but also so charming), met the nicest barista at Helena&apos;s Bakery, and took stand up paddle board surf lessons! I can&apos;t believe how much we packed in—which probably has something to do with why I woke up with a fever yesterday morning... 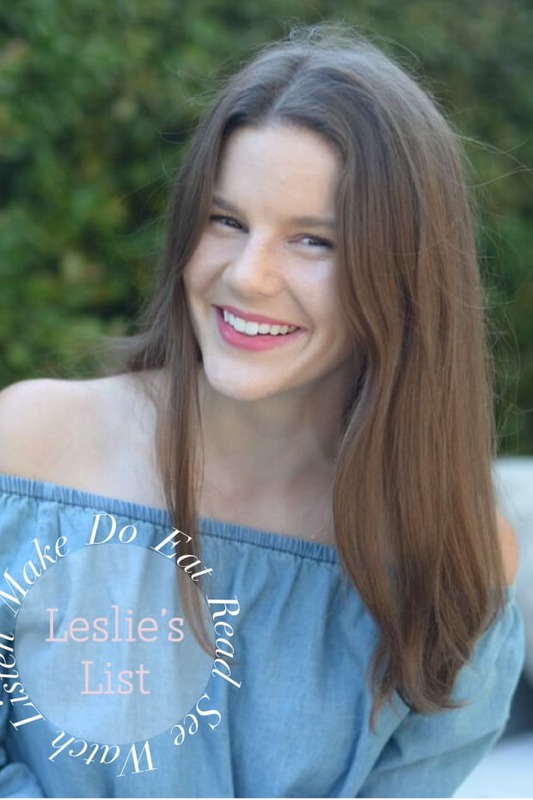 Laying low this week—here&apos;s what else I&apos;m up to! For the most part, I believe in eating "real food", which to me means eating real calorie-rich foods over their sad low-cal counterparts—but I love Halo Top. I love that I can eat an entire pint of ice cream without the crippling stomach-ache, the mint chip is delicious as long as you don&apos;t compare it side-by-side to real ice cream, and for some reason it makes me feel fancy to eat ice cream from a gold pint. I&apos;m a sucker for cool branding. 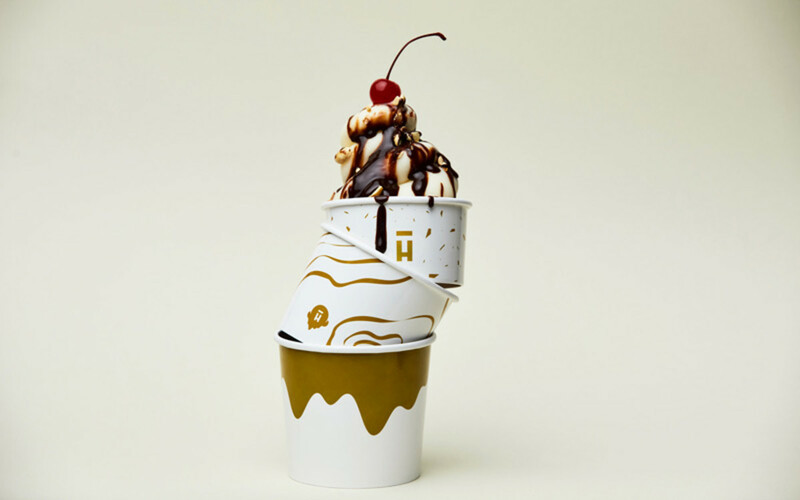 Their first scoop shop opens tomorrow at Westfield Topanga and they&apos;re giving out free scoops all day! Ice cream dream come true! Once you&apos;ve eaten your fill of ice cream, you may be interested in the "Great Los Angeles Walk" which takes place this weekend! Participants meet downtown, then walk all the way to the ocean. Sounds like a perfect way to see the city! If you&apos;re looking for some culture, MOCA&apos;s offering free admission all day this Sunday to celebrate its latest exhibit, Adrián Villar Rojas: The Theater of Disappearance, with food trucks and a live DJ. And last, but certainly not least, Ira Glass will be sharing "Seven Things I’ve Learned" at Ace Hotel downtown this Saturday! I have to miss it for a Friendsgiving, but looks like such a great event! 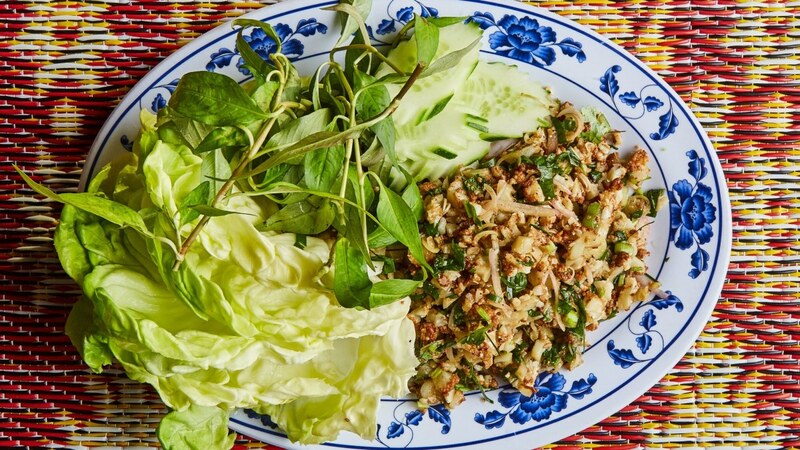 Traditionally, the Thai dish "larb" is made with pretty much any type of minced meat, from duck to cow, then mixed with the blood of the animal, but the distinct flavor comes from the dried chilies, crispy onions, lime juice, and fresh herbs (mint! kaffir lime leaves!) that also go into the mix. This version from Bon Appetit uses roasted cauliflower for a pescatarian version (vegetarian if you omit the fish sauce!). It&apos;s also simple enough that I was able to grab the ingredients and make it after a weekend out of town, served over rice and gem lettuce as a salad. 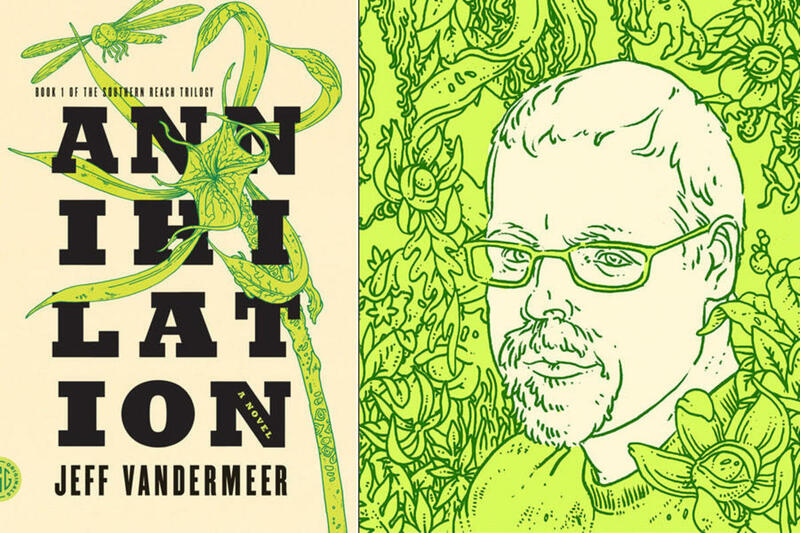 It isn&apos;t immediately clear what Jeff VanderMeer&apos;s sci-fi novel Annihilation is about. We know that four researchers have been sent to a now-abandoned area called Area X, and that we&apos;re reading the field journal of the biologist. The story stays just vague enough throughout—there&apos;s little dialogue; mostly observations—but it&apos;s also a total page-turner (Why does the psychologist need to perform hypnosis to get everyone across the border to Area X? What&apos;s this mysterious tunnel they just discovered?). It&apos;s also only 200 pages, so it&apos;s a quick read, which I recommend doing before the movie starring Natalie Portman comes out in February! I had a chance to finally see Greta Gerwig&apos;s semi-autobiographical movie, Lady Bird, about growing up in California, set over the course of one summer (and everything that comes with growing up in California: teen relationships, fights with mom, wanting to move to the east coast). It stars Saoirse Ronan and Lucas Hedges (from Manchester by the Sea! ), and is worth seeing if you&apos;ve ever been a confused, angsty teenager—and by that I mean: everyone. This weekend, a reader messaged me on Instagram to recommend the California-based band, Waterstrider. Since my boyfriend and I were driving home from Santa Barbara, we put them on. Based on their EP, Constellation, I felt like I knew what their other songs would sound like—the kind of pop that makes for the perfect background to a summer party—but then their uncharacteristically bluesy song, "Speaking of Happiness" came on. While we expected to only listen to one or a few songs to get a taste, we ended up listening to them the entire two-hour drive home! Listen to them here. Recently, I purchased a cookbook for a friend and practically tore the house apart looking for wrapping paper before landing on a tote bag wrapped in red ribbon. Of course, the next day I found my entire stash of paper—but felt inspired to do something so that I didn&apos;t run into the same situation again. 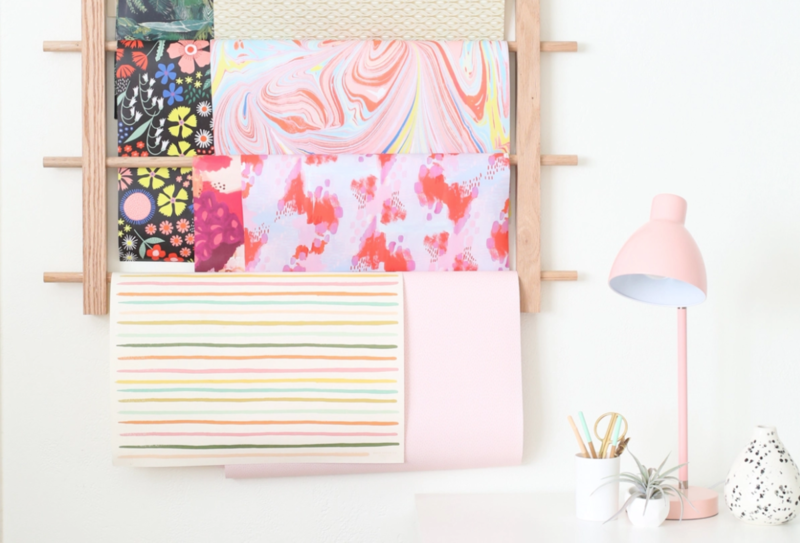 This display is such a cute way to display single pages of wrapping paper, would fit perfect in my laundry room, look great year-round!